David Havens first moved to Maui in 2004, but spent the previous seven years traveling the world as a player and a teacher. While earning a four-year letterman honor and having captained the Virginia Tech golf team, David also received degrees in Marketing and Management in 1997. After winning the 1998 South African Qualifying school with 21-under par, Havens spent the majority of his next seven years playing tours in Africa, Asia, Australia and Canada. During those years, Havens developed a love for teaching, especially junior golf and their development. One of his prize pupils includes PGA Tour player Brendon de Jonge, which he has coached on the PGA Tour (2007) and since the age of 15. Havens has also help develop junior programs in foreign countries such as Bhutan and Nepal. Since being here on Maui, Havens has coached over 300 players from beginners to tour players. He feels that as long as you have love for the game and see golf as fun you can improve to whatever level desired. Each player is different, physically and mentally. Teaching is tailored to the player! 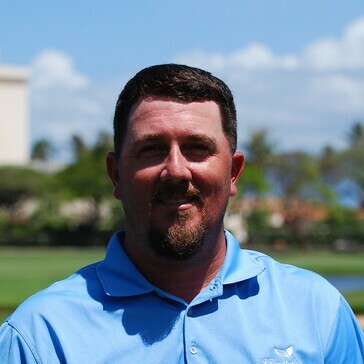 Havens also runs the summer junior golf program at Ka’anapali, where he serves as lead instructor. The program includes introduction to the game, basic technique, rules, and events for the juniors to have fun while learning the game of golf! Havens received the 2013 Teacher of the Year Award and the 2012 Junior Leader Award by the Aloha Section PGA.